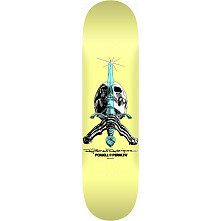 The Rodriguez "Skull & Sword" deck was the first pro signature deck graphic produced by Powell-Peralta. 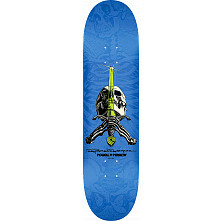 The graphic was conceived by Ray and Illustrated by V.C. Johnson with art direction from George Powell in 1979. 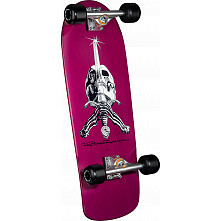 Initially released in two distinctly different shapes; a 10" x 30" "Widetail" version and a 10" x 28.5" "Snub Nose,” it came in "Brite-Lite" Dayglo yellow, orange, purple and green. 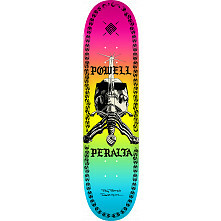 In years to follow, it was made in various different colors and a Powell-Peralta logo was added. 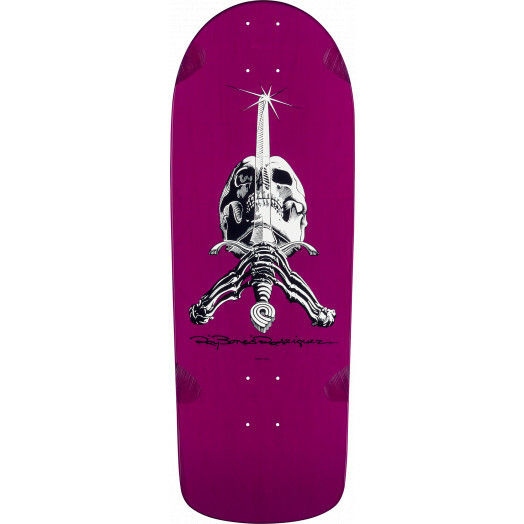 In 1983 Ray's signature was removed and replaced with a Powell-Peralta script logo. The graphic was also used for T-shirts and stickers.